For centuries, the Royal Navy has been both respected and feared – thanks, in no small part, to ships like the HMS Victory. 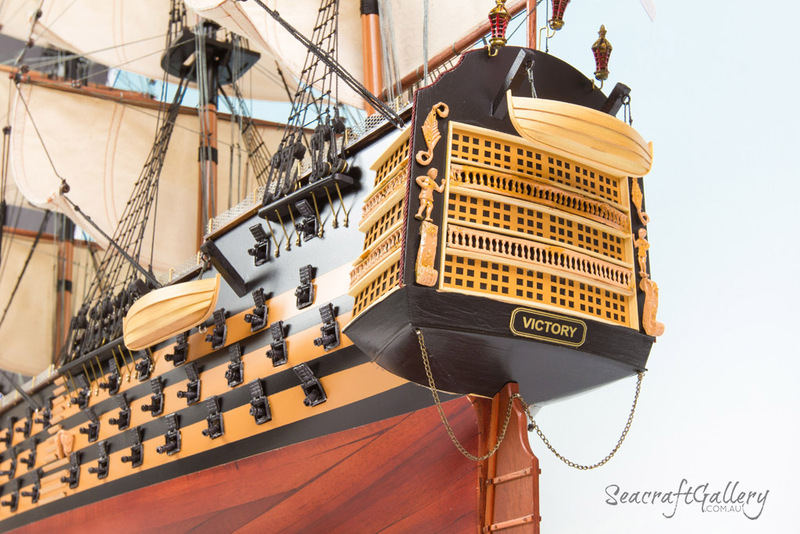 As the oldest commissioned warship and the most famous tall ship that the Royal Navy ever had, the HMS Victory made more than its mark on history. 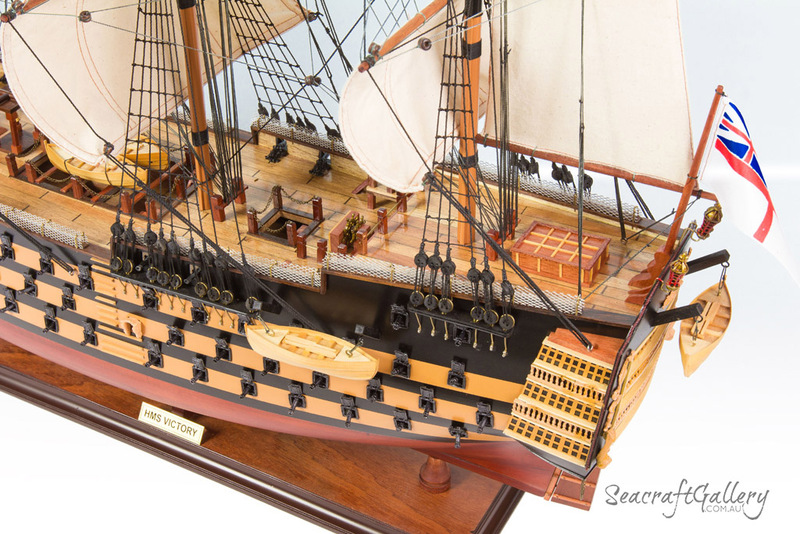 Our new model ship of the HMS Victory leaves you with your own wooden representation of the ship which turned the tide at the Battle of Trafalgar, 1805. 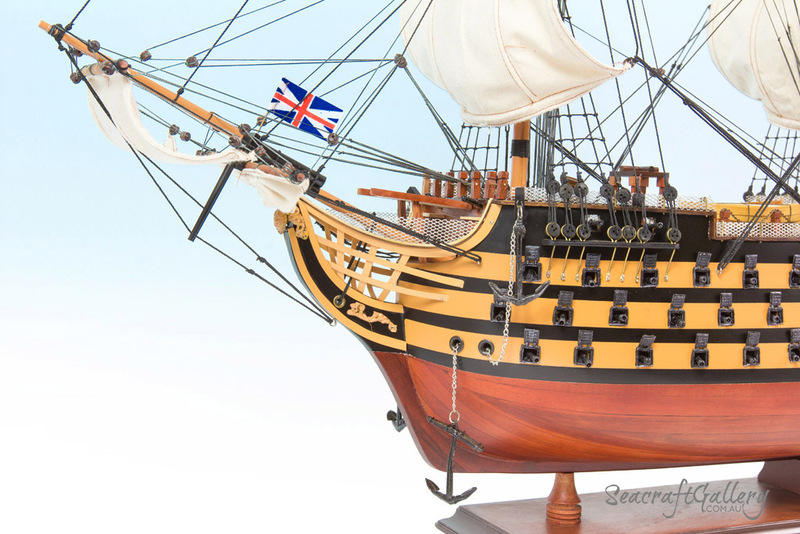 You can add this new HMS Victory model ship to your collection, showcasing the impressive nature of the ship to fellow fans of naval history, or simply fans of model ships. A must-have for anyone who appreciates stunning artwork, and who has a love of the history of the Royal Navy. 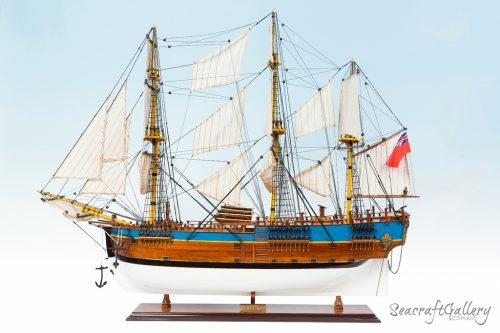 This is one of our most popular ship models with good reason: it’s a fantastic take on one of the most important warships of its, or any, era. 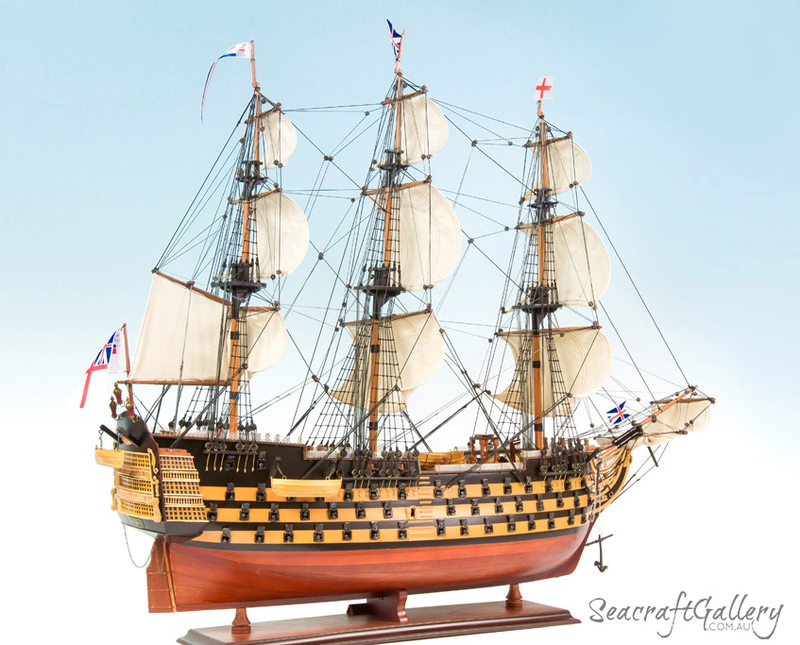 Designed using real plans of the HMS Victory ship, ensuring the model ship is accurate. 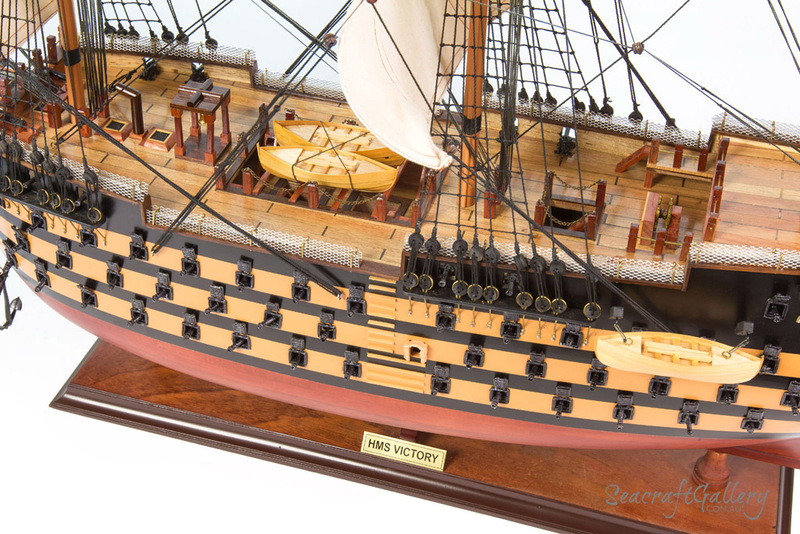 A hand-built model ship of the HMS Victory, with immense attention to detail. Hand-built using top quality timber and metals: no plastic used. Gun ports cut directly into the hull: not stuck on. 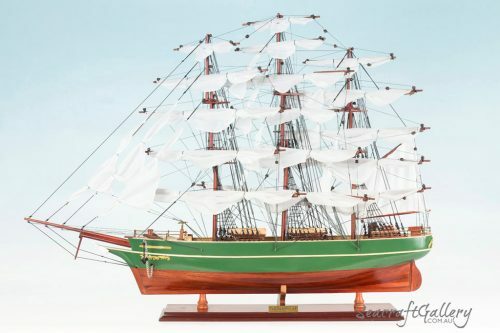 All lattice grates, rudder chains and wooden ladders are included. Realistic extras such as lifeboats are included with oars. Handmade linen sales designed with rigging lines of varied texture. 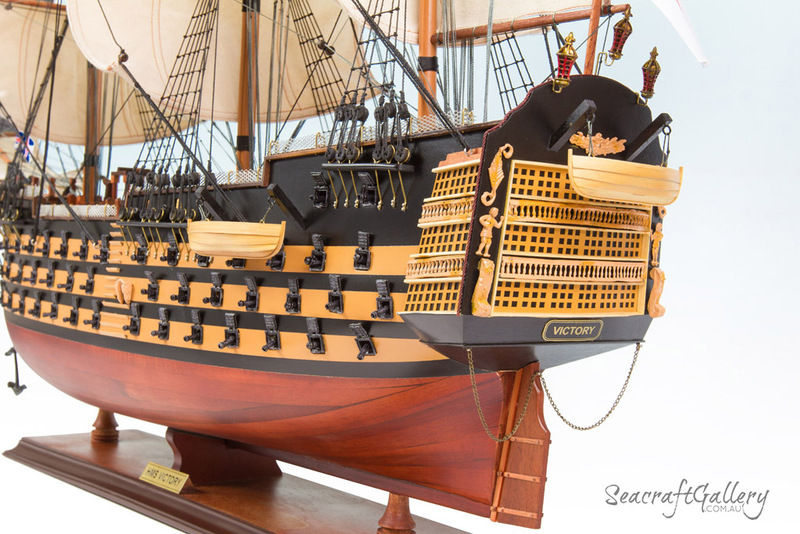 All decorative details – cannons, anchors and decorative linings are metal-sculpted. deck features help to add attention to detail and depth to the deck. Fully assembled upon arrival: ready for you to display instantly. Solid wooden base with name plate included. Laminated ship history sheet include for educational purposes. 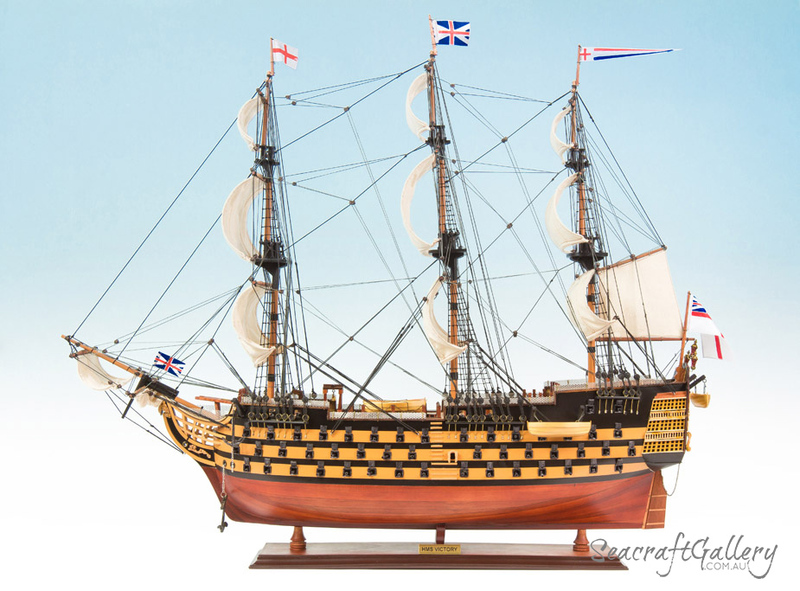 The HMS Victory model ship is also available in 75cm. Cabinet display is also available, not only make your models a centrepiece; they ensure that they will remain just as beautiful in many years’ time. 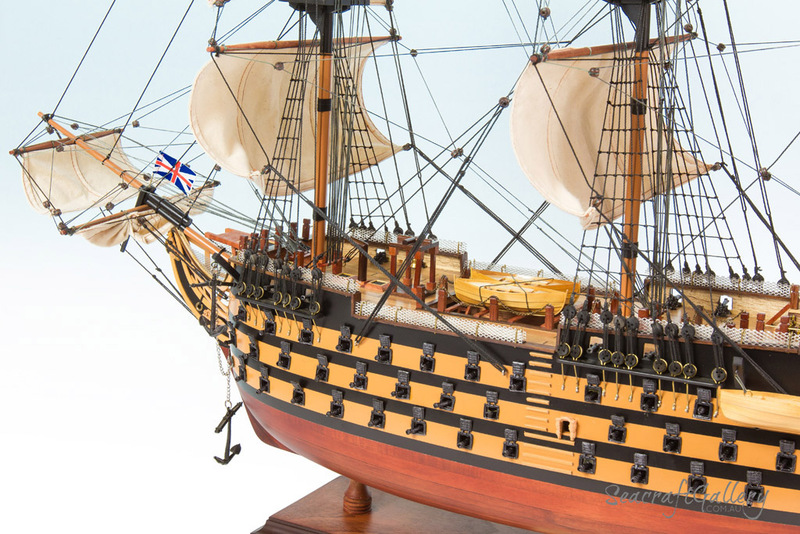 The HMS Victory is one of our most popular model ships thanks to its rich, articulate history. 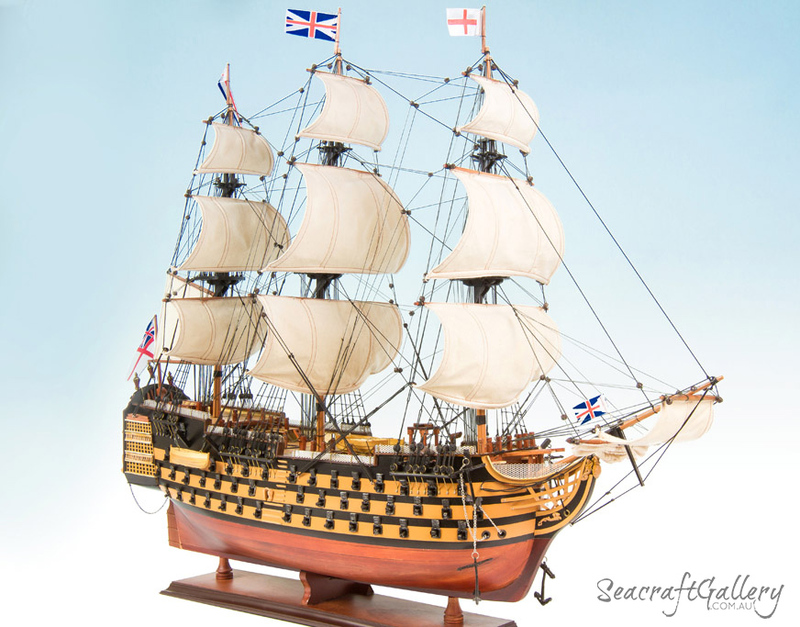 It came to be commissioned on the 7th May, 1765, and was first launched from Chatham Dockyard. The ship, from that date, became a crucial fixture of British naval warfare for the next two centuries. The person given command of the ship for the first time, in March 1778, was that of the famous Captain John Lindsay. That tenure, though, lasted but two months; in May 1778, Lindsay was transferred when Augustus Keppel decided to raise his flag aboard the Victory instead. In 1778, she was fully commissioned under Rear Admiral John Campbell, and Captain Jonathan Faulkner, as its respective two Captains. Flying under the flag of the famous Admiral Keppel, the ship became a well-respected veteran of the seas, among the most feared warships on the water. 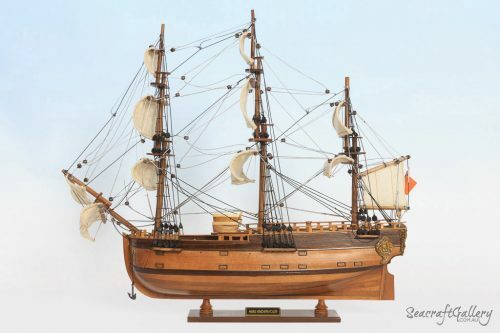 In October 1805, though, the ship truly gained legendary status, when it took part in the Battle of Trafalgar. 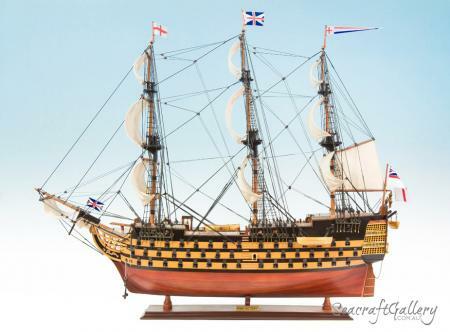 The Spanish fleets were running rampant, but it was under the leadership and authority of the HMS Victory that the tide was turned and the battle secured in the name of Britain. Capable of launching half a ton of iron through the sky at distances over half a mile away, the incredible ferocity of the ship was sure to be felt. 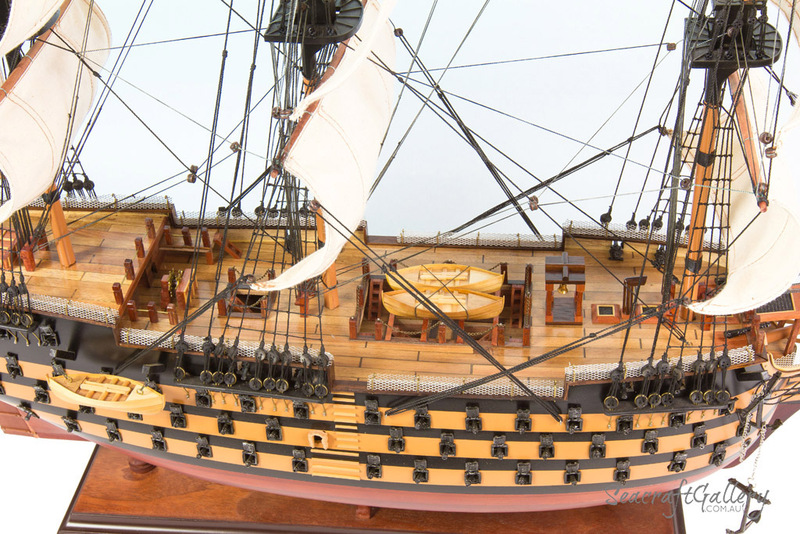 In 1812, the ship was retired from active war duty, and instead spent the next century plus serving various ceremonial and practical roles for the British state. With over 300,000 visitors every single year, this stunning shape maintains its role as one of the most beloved museum ships on the planet. Thank you so much for such a quick delivery! This detail in this ship is stunning! I can’t wait to give it to my Dad in a few weeks for his 60th. I’m sure he will love it. The HMS Victory has arrived at its berth and is safely moored in our hallway. It looks great. Thanks for your care. What a model. 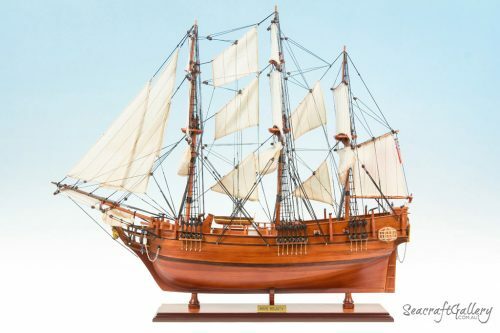 The best model ship!